Publisher: Grand Central Publishing, Warner, Boston, MA, U.S.A. In the sequel to Bad Chili, Hap Collins puts his mid-life crisis on hold to join his best buddy, Leonard Pine, and his girlfriend, Brett, on a mission to rescue Brett's troubled daughter from the dangerous inhabitants of Hootie Hoot, Oklahoma. 20,000 first printing. 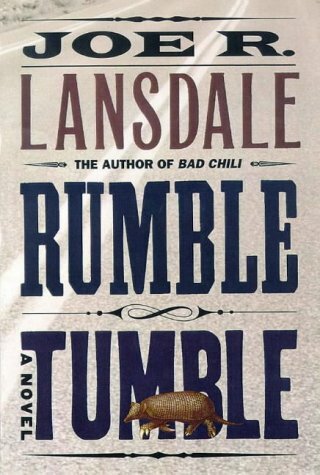 The fifth installment in Joe R. Lansdale's low-key East Texas thrillers finds Hap Collins and Leonard Pine, despite their best efforts, once again in the midst of grim violence. It begins when Hap volunteers to help his girlfriend, Brett, retrieve her daughter from a life of prostitution just outside Oklahoma City. And where Hap goes, Leonard follows, as always with an eye on the aspects of the situation that Hap would rather not deal with: "I know you don't like the gun talk, Hap, but you know as well as I do, at some point those people up there, they're who I think they are, they're going to point guns at us. And the guns are gonna be loaded, and when they pull the trigger our heads are gonna go away. Unless we shoot first or intimidate their asses into not shooting at all."